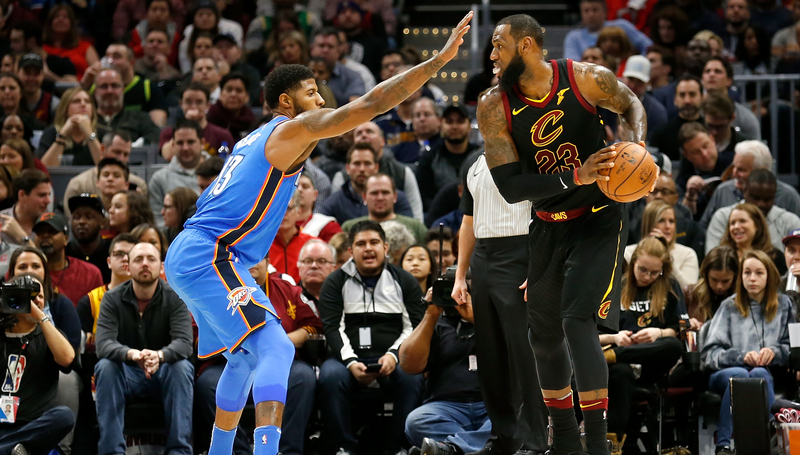 Paul George and LeBron James could end up as teammates on the Lakers. With as much movement that now exists among players in the NBA, the summer has become a sort of second season, providing seemingly endless entertainment and intrigue. This offseason has already been a compelling one, but it’s about to reach a new level with free agency getting under way at midnight on Saturday (EST, 08:00 UAE time). That means we could quickly learn where LeBron James will play next season, as well as the fate of others on the open market. Of course, for many of the big names, free agency will mostly be a formality as they promptly re-sign with their current teams. That will likely apply to Kevin Durant, who is expected to stay with the Golden State Warriors, as well Chris Paul and Clint Capela, who were essential to the Houston Rockets coming within one win of the NBA Finals. With that said, here’s a look at the biggest free agents whose immediate future isn’t so predictable. All eyes will be on the best player in the world as he makes his decision on where to take his talents – or where to keep them. The chances of James leaving the Cleveland Cavaliers again, most likely for the Los Angeles Lakers, appear to be somewhere around 50-50. 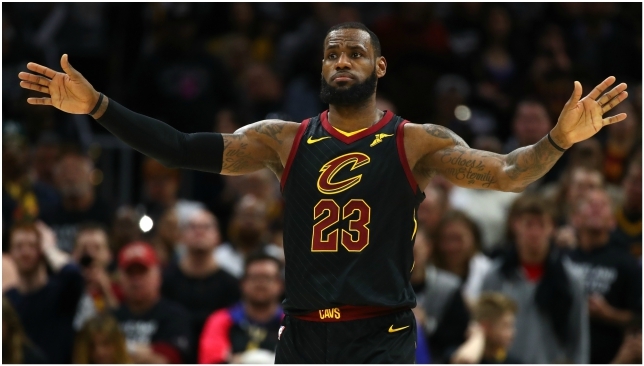 While he’s reached the Finals four straight years since returning to Cleveland, they’ve been beaten three times by Golden State and look to have plateaued. The Lakers, at least as of now, aren’t exactly a ready-made contender, but the prospect of bringing in another star or two to form a new superteam makes them a legitimate threat to lure James away. With the San Antonio Spurs appearing patient in their dealings with Kawhi Leonard, James may wait to see if Paul George heads west first before taking the plunge. Similarly, George may want to see what James decides before making his pick between the Lakers and Oklahoma City Thunder. The star forward seemed destined for Los Angeles last year when it was reported the Lakers were his preference, but after a year with the Thunder, George apparently is seriously considering giving it another go with Russell Westbrook and Co.
George grew up just outside of Los Angeles, but Oklahoma City are banking a year with their franchise has changed his mind. Either way, he may be a major domino for LeBron, and vice versa. Almost any other year, the supremely talented Cousins would be the most interesting name on the market, but with LeBron and the Lakers grabbing all the headlines, the big man is somewhat going under the radar. Part of that is the fact Cousins is coming off an Achilles tear, so it’s unclear if he’ll be back to his dominant self right away, or ever again. 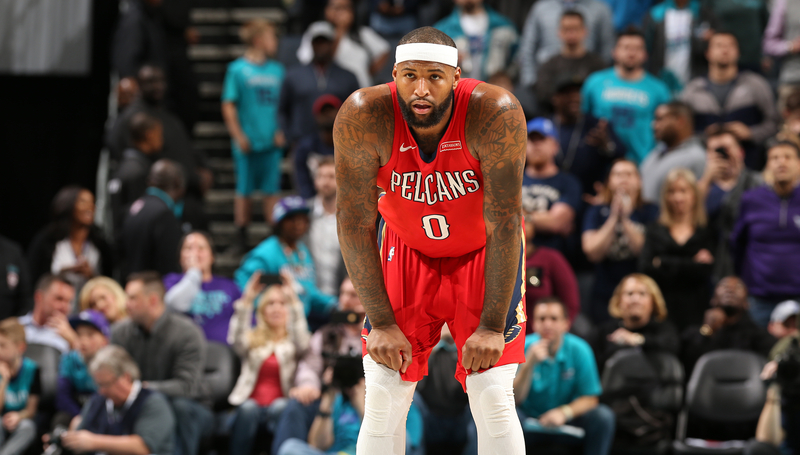 Plus, the New Orleans Pelicans were arguably better after he was sidelined, so it’s possible his gaudy numbers don’t translate to winning contributions. Still, the Pelicans will likely do whatever they can to keep hold of him, if for no other reason than to at least show Anthony Davis they’re willing to spend to be competitive. If Cousins doesn’t get offered a max contract though, he may take a short-term deal to prove he can return to an All-Star level. After opting out of the final year of his contract with the Los Angeles Clippers, it seems all but certain the centre will be plying his trade elsewhere next season. And the worst-kept secret in the league may be the mutual infatuation between Jordan and the Dallas Mavericks, who secured a verbal agreement from him in the summer of 2015, only for the big man to renege and stay with the Clippers. Cap space is in short supply among teams this summer, which could affect the length and worth of several contracts for non-stars. Role players who are entering free agency hoping for a nice payday are likely to be disappointed as teams try to keep their powder dry for next summer’s class. That said, there are still a bunch of young, promising restricted free agents who could draw big offer sheets, such as Aaron Gordon and Jabari Parker. But teams may be less inclined to take risks this summer in the current cap climate. LeBron James has until midnight on Friday (EST) to opt out of the final year of his contract. LeBron James’ decision as to whether or not to opt out of the final year of his contract is more than just a formality. While it’s still unclear who James will be playing for next season, his choice – which must be made by midnight on Friday (EST) – will be telling of where he could potentially end up. Here’s a look at what LeBron’s decision could mean, one way or the other. On the surface, James opting into the final year of his deal – which will pay him $35.6 million for 2018-19 – seems like an obvious signal he’ll remain with the Cleveland Cavaliers. But that’s not necessarily the case. While that route would technically commit him to the Cavaliers, it actually opens the door for James to go practically anywhere in the league. The reason for that is with James under contract, any team can theoretically trade for him and fit him into their payroll by matching salaries in a swap. It opens the door for teams that otherwise wouldn’t have enough cap space to sign James outright in free agency. 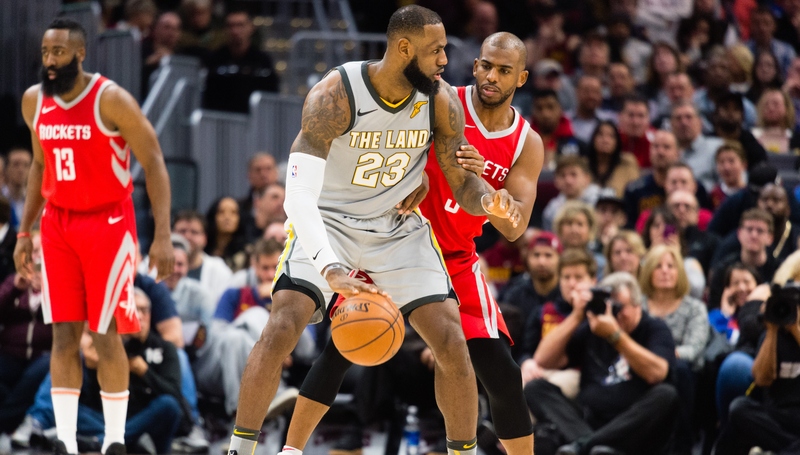 The biggest beneficiary of this scenario is likely the Houston Rockets, who are considered a potential LeBron destination but are strapped for cap space. Instead of general manager Daryl Morey needing to gut the team to sign James in free agency, the Rockets could trade for him and then go over the cap to re-sign Chris Paul and Clint Capela – a key figure to their contention hopes. Houston basically did this last summer with Paul, who opted in with the Los Angeles Clippers to facilitate a trade to his preferred destination. James’ decision to opt in could also mean he’s willing to play out another year in Cleveland, but if staying put is what he wants, it may make more sense for him to opt out and sign another one-plus-one deal with a player option on the second year. That buys James more flexibility and protects his earning potential from a potential serious injury. James opting in would also give the Cavaliers more leverage. 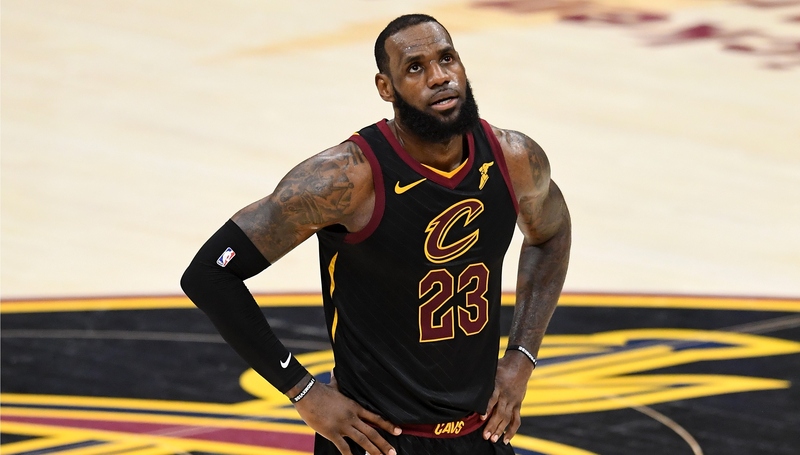 Instead of allowing James to find a trade partner, Cleveland could force him to play out the final year of his contract – although that type of hard-ball tactic, especially with someone as powerful as James, would be unwise and leave the Cavaliers with nothing to show for their troubles when he eventually walks out the door next summer. James opting out drastically limits the field vying for his services. The only teams he’s been linked to that also have the necessary cap space to hand him his max contract are the Cavaliers, Los Angeles Lakers and Philadelphia 76ers. When it comes to the Lakers, Kawhi Leonard appears to be playing a crucial role in James’ decision, with ESPN reporting that a trade for Leonard would clinch a commitment from LeBron. That puts the onus on the Lakers to get a deal done with the San Antonio Spurs before James’ deadline so LeBron can opt out and sign with Los Angeles in free agency. If he opts in, that would mean the Lakers would have almost no chance at landing both Leonard and James this summer, as one would require most – if not all – of their desirable trade assets. 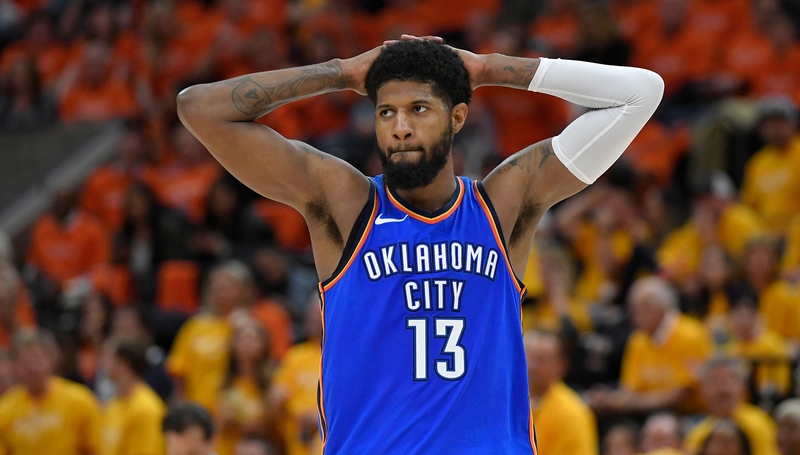 If the Lakers can’t add Leonard, James may not want to join as the lone star on a lottery team, especially with Paul George reportedly strongly considering a return to the Oklahoma City Thunder. The stakes couldn’t be higher for everyone involved and while James isn’t facing a deadline on his decision of where he wants to go, it could narrow down his options. 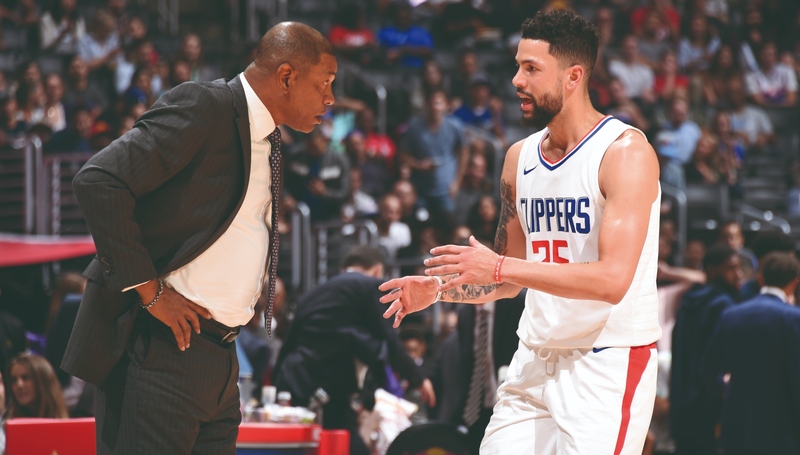 Austin Rivers spent three-plus seasons being coaches by his dad, Doc. The trade between the Los Angeles Clippers and Washington Wizards isn’t a major move on the surface, but the reverberations of the deal could be felt in the weeks to come. The Clippers shipped guard Austin Rivers for centre Marcin Gortat on Tuesday in a swap of expiring contracts that makes sense for both teams. For Los Angeles, the trade clears up some of the clutter at the guard position after the team selected Shai Gilgeous-Alexander and Jerome Robinson in the draft last week, adding to a group that already includes Lou Williams, Milos Teodosic and Patrick Beverley. Rivers’ departure means the end of the first situation in NBA history where a player has been coached by his father, which came to fruition when Doc Rivers traded a second-round pick to the Boston Celtics for his son in January 2015. The elder Rivers received criticism for nepotism, while Austin caught grief for being under the protection of his dad, which he touched upon in his farewell Instagram post. After struggling to find his place in the NBA at the time of his arrival in Los Angeles, Rivers made himself into a useful role player with the Clippers and averaged a career-high in minutes (33.7), points (15.1), assists (4.0), rebounds (2.4), steals (1.2) and 3-point percentage (37.8) this past season. With the Wizards, he’ll join the talented backcourt of John Wall and Bradley Beal as a player who can come off the bench for reliable minutes – something Washington haven’t had at the guard position in recent years. With Gortat gone, that leaves a massive void at the centre position, where only Ian Mahinmi remains. That could make Washington aggressors for Dwight Howard, who is expected to be bought out from the Brooklyn Nets after being traded by the Charlotte Hornets last week. Even after moving Gortat, the Wizards remain over the salary cap, but Howard may be willing to join for the mid-level exception, which Washington can still offer as a taxpayer team. 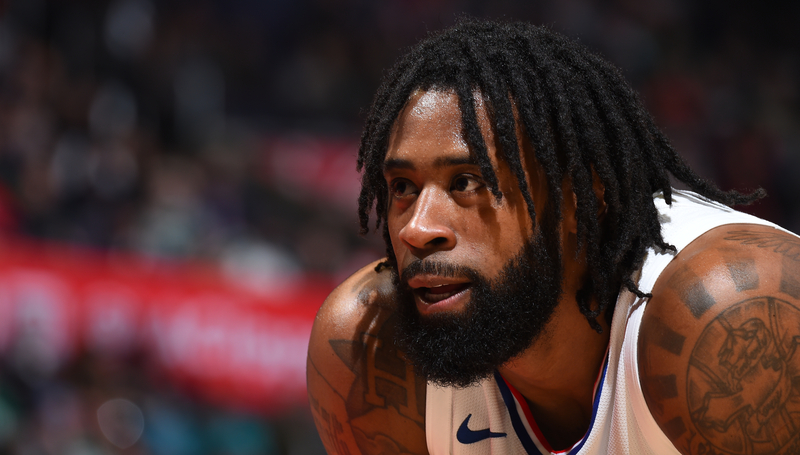 The trade could also impact the future of another centre – DeAndre Jordan. The Clippers may have acquired Gortat as a replacement to Jordan, who can opt out of his $24.1 million contract by Friday’s deadline. Even if Jordan decides to play out the final year of his deal, Los Angeles could explore trades for the big man this summer or before February’s trade deadline. There were rumours the Clippers were exploring deals for Jordan this past season. His skillset is limited, but the 29-year-old, who is coming off a campaign in which he averaged 12.0 points 15.2 rebounds, is one of the best lob threats and rebounders in the league. For both the Clippers and Wizards, this trade is likely the first domino before a string of more moves.